The governor's action before dawn Friday sparks outrage from elected officials in Washington County. Gov. Paul LePage ignited a political firestorm by quietly emptying Washington County’s Downeast Correctional Facility in the pre-dawn hours Friday despite lawmakers’ repeated votes to keep the prison open. Although LePage’s desire to close the Machiasport prison and lay off its staff was well known, his administration’s decision to transfer the 63 remaining inmates to other facilities Friday morning caught local officials by surprise. Elected officials in Washington County said they were “blindsided” by the transfer – conducted in the early-morning hours by state police – and predicted the minimum-security prison’s closure will do further harm to a rural region already struggling economically. According to union officials representing corrections workers, more than 60 inmates were loaded onto buses “under the cover of darkness” for transfer to other facilities, while the 31 staff members were placed on administrative leave and given layoff notices. While union officials said inmates were transferred to Mountain View Correctional Facility in Charleston. LePage’s office said inmates were sent to several other facilities but declined to provide specifics. LePage spokesman Peter Steele noted that the governor has clearly expressed his views for years that Downeast Correctional was outdated, inefficient and increasingly unnecessary. However, LePage chose to move forward with his long-held plans to close Downeast Correctional at a time when lawmakers are actively working on the issue. A bill sponsored by Rep. Will Tuell, R-East Machias, and Sen. Joyce Maker, R-Calais, would provide $5.5 million to the facility next year while ordering a comprehensive study of the impacts of its closure. That bill received a 10-1 vote in support from members of the Criminal Justice and Public Safety Committee. And last year, the full Legislature voted by overwhelming numbers to support a bill to fund the prison for two years. So the timing of LePage’s decision to clear the prison population seemed to intensify the bipartisan pushback. The Maine Senate’s three top Republicans said the governor’s actions run contrary to the Legislature’s decision to keep funding the prison and a 2016 bond measure that mandated a correctional facility in Washington County. The office of Attorney General Janet Mills, a Democrat, said in a statement that the governor’s action “flies in the face of the clear intent of the Legislature as expressed in the biennial budget, in statute and in the deliberations of the Joint Standing Committee on Criminal Justice and Public Safety.” Mills’ office was exploring “all possible actions” in response to the planned closure. Not surprisingly, reactions were strongest in Washington County. 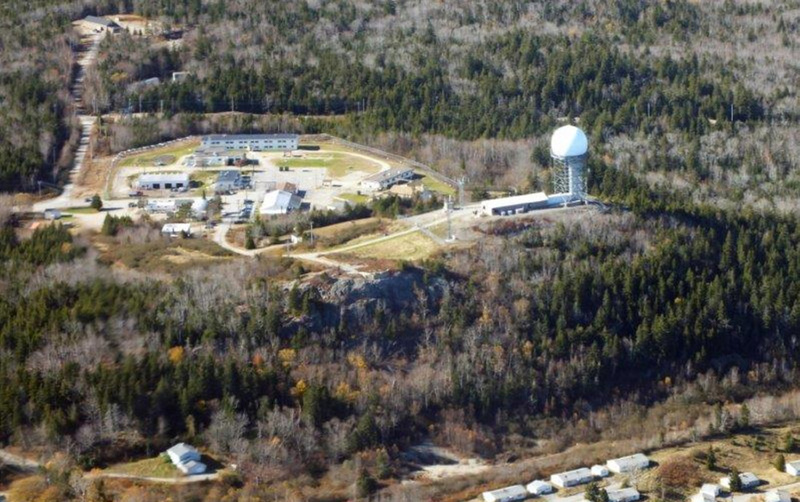 Downeast Correctional Facility was built in 1955 by the U.S. Air Force and transferred to the state in the mid-80s. The minimum security prison has approximately 150 beds but was down to less than half-capacity on Friday because the LePage administration stopped sending inmates there months ago. The facility costs the state roughly $5 million a year to operate. Last May, state correctional authorities announced the closure of the 150-bed prison and notified 55 employees that they would lose their jobs within weeks. While the facility did stay open, the state has not sent any new prisoners there since October. Both of LePage’s immediate predecessors in the Blaine House – independent Gov. Angus King and Democratic Gov. John Baldacci – also considered closing Downeast Correctional but never moved forward with a plan. Asked about his decision, LePage again raised concerns about the costs of the aging facility. “I am the chief executive of the state of Maine,” LePage told reporters, according to a video posted by WCSH-TV. “As I sit here today, I have a jail that costs more to operate than the maximum security prison in the state of Maine. The legislature did not fund it for the total, two-year biennial. The director of the Downeast Correctional Facility sent a memo to his workers in January reminding them that LePage “will be watching closely” while they testified before a legislative panel about Tuell’s bill to keep the minimum security prison open for another year. The prison housed low-risk inmates, many of whom were preparing to transition back into society. Dozens of Downeast Correction’s inmates also worked at local businesses through a work-release program, sometimes even turning those temporary jobs into full-time employment after their release. It was unclear Friday whether those employers were notified before the prisoners were transferred. The Sunrise County Economic Council, which focuses on job creation and economic development in Washington County, had projected that the facility’s closure would result in the loss of 55 jobs among prison and medical staff, along with 22 others in the community. Charles Rudelitch, the council’s executive director, said the fear is that a permanent closure of the facility will impact those direct and indirect jobs as well as the companies that rely on inmates’ through the work-release program. Gardner, the county commissioner, has worked closely with LePage in his capacity as director of the Eastport Port Authority and actively campaigned for LePage’s two gubernatorial campaigns. On Friday, however, a furious Gardner said he and other county residents feel betrayed by what he described as LePage’s “vindictive” actions after the Legislature has repeatedly voted to keep the facility open.